Overly sensual, the sweet, fleshy round figure of the fig has seduced people since antiquity. Now it combines with traditional balsamic for a flavor worth fighting for. 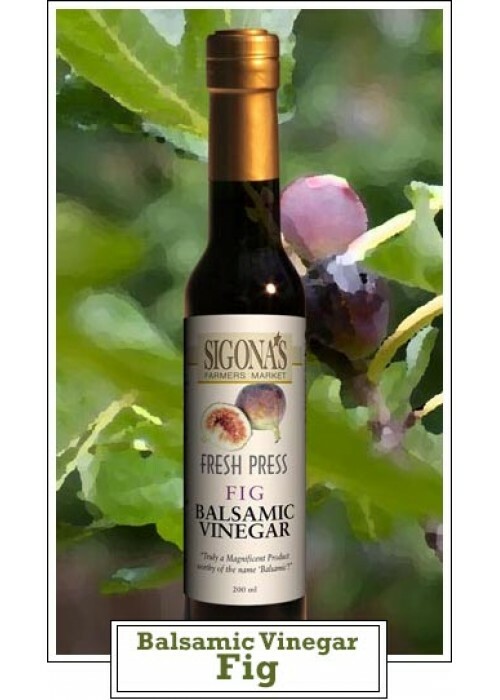 Lusciously sweet and syrupy, this could be the fig that launched 1,000 ships. Toss it on salads, drizzle it on a fig, feta & walnut salad, top grilled white meats with it or reduce and spoon over ice cream. This is a top seller! Recipe: Make a slit in a fresh fig and fill it with a piece of feta cheese and wrap a strip of pancetta around it. Grill or roast in a 400F oven until the pancetta is crisp or cheese is soft and syrups begin to run. Toss some arugula with olive oil, top with hot figs and drizzle with a bit of the Fig Balsamic.